Free baby knitting patterns are a lovely way to create inexpensive quick knit, baby sweaters, baby blankets, bibs and booties. Whether your favorite baby yarn is cashmere homespun or Red Heart Baby Econo yarn, the price for the privilege to knit can pile up in a flash. The new mom might ask whether or not it is best or even necessary to knit her baby's clothes and the answer would have to be negative. With modern machines and cheap imported baby clothing, it's not necessary to knit at all. But take it from millions of knitting fans that the thought of a life without yarn, knit and purl stitches makes them anxious. To experienced knitters, the soothing click of the needles brings peace into a busy day. Go here to see more knitting patterns for baby clothes and toys. The purpose of these resources is to share some free baby knit clothing patterns so that modern moms on a budget can experience the feeling of pride and accomplishment when her knit baby sweater or her soft homemade baby blanket made from our patterns is finished and slides off the needles. Do You Really Know All of the Basic Knitting Stitches and Techniques? Go HERE to see if your knitting skills are sufficient to complete these projects. 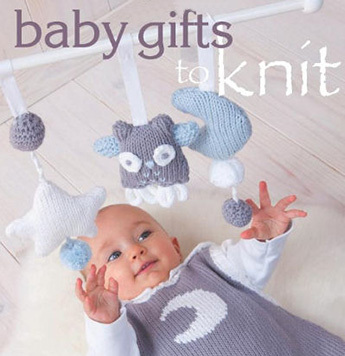 Many of these free baby knit patterns are far beyond what is generally considered to be vintage. Most of the patterns are antique or we might just call them just plain old. Some were passed forward in my family with sketchy instructions that I've attempted to complete as I tested them. The members of my knitting circle and I are in the process of testing or have tested most of the free baby knitting patterns listed, but we are busy parents with active babies and toddlers just like you and we are not beyond skipping a stitch. If you find this is the case, please bear in mind that these are FREE BABY KNITTING PATTERNS and we are offering them as such. If you have problems and worked to resolve them, please forward the adjustments, modifications to us to help the next knitter's baby bunting, bib or hat come out right. with Moms who are looking for free patterns! Tell us about this pattern and what you like about it. Have you made it yourself yet? Would you classify it as a pattern best for a beginner or a person with intermediate skills. Do you have a picture of some knitted baby items that you made yourself that you can share? Great! It's not required, but we would love to see your pics! Click the button and find it on your computer. Then select it. We would appreciate your sending your pictures and photographs of your finished hand knit baby items along with details of which baby yarn and what size knitting needles that you used. Knitting in and of itself is wonderful, but a chance for your project to be part of a knit baby clothes picture gallery is really cool! Knit your baby blanket or clothing using one of the free baby knit patterns and then take some pictures to share with others. What a great way to participate in and be a part of a knitting community without leaving home. Make plans to visit Unique Baby Gear Ideas again soon to find NEW free baby knitting patterns and nursery ideas with projects that will inspire you to get busy with crafts and DIY projects that can be used as decorations for the baby's room.